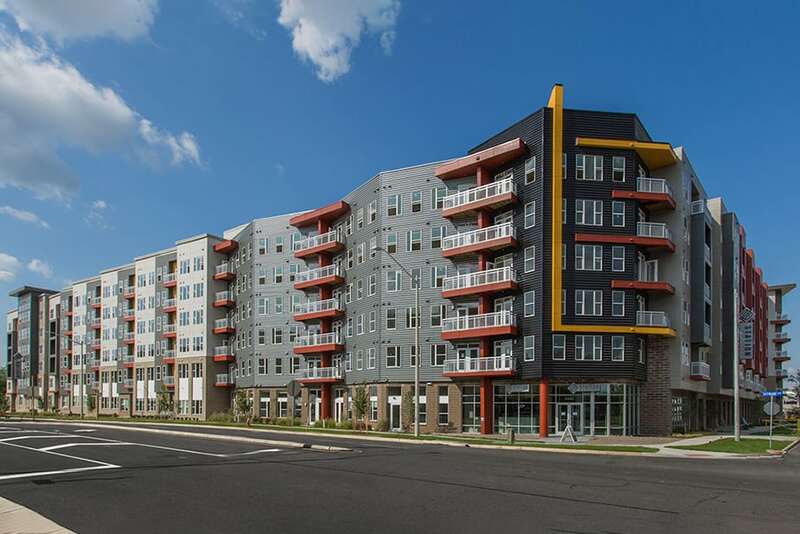 NCI, Inc. has completed the siding for a newly built apartment complex in Northern Virginia. Dulles Station Parcel 5A is a 400-unit apartment complex located in Herndon, Virginia. The NCI team furnished and installed over 160,000 square feet of James Hardie fiber cement panel and lap siding in conjunction with 200,000 lineal feet of Tamlyn extruded aluminum reveal trim to deliver an exterior façade with truly unique appeal. NCI also furnished and installed 12,000 square feet of Pac-Clad aluminum metal wall panels to further enhance building accent and character. Installation of all siding was completed well ahead of schedule.